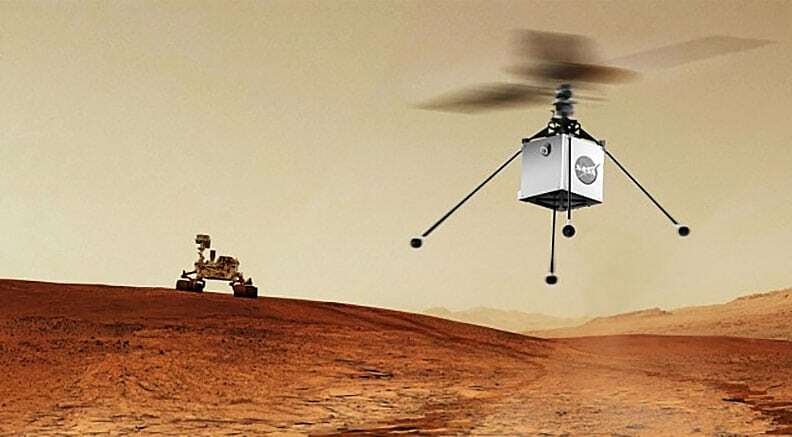 A mini helicopter is expected to fly with NASA’s Mars 2020 rover mission. The mission is scheduled to launch in July next year and land on the Red Planet in February 2021. The Mars Helicopter weighs about 1.8 kilograms and has a body about the size of a softball. It has a small solar panel, rechargeable lithium-ion batteries. Success in this pioneering work would be a big deal, extending the reach of humanity’s robotic explorers, which are currently restricted to the surfaces of alien worlds or the dark realms far above them, according to Space.com report. The helicopter doesn’t have any science instruments, but it is outfitted with a high-resolution colour imager.